Updated Wednesday May 2, 2018 by Franklin Little League. All players on the team will bat every inning. Each team will take turns playing defensive positions in the field every inning. Players should be rotated each inning. It is recommended that “extra” players play in the outfield. There is no catcher position in Tee-Ball. 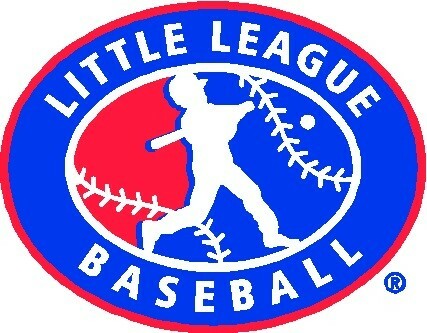 Franklin Little League determines rain outs. Batters and all base runners must wear a batting helmet at all times. A manager/coach may assist the hitter. Special attention should be paid to adjusting the tee and placing the ball on the tee. There is no “on deck”; players must remain in the dugout until it is their turn to bat. If a batter hits the tee, rather than the ball, this shall be considered a foul ball. A batted ball that does not reach the infield grass (or equal distance on a direct infield) is ruled foul. Base runners may not leave the base until the ball is hit. Batters who hit the ball to the outfield may advance up to two bases. Batters who hit the ball in the infield may advance one base. Extra bases will not be awarded on overthrows. The last team batter of each inning may continue running as the "Home Run Hitter" until he/she reaches home plate. This player can not be tagged out for safety. Coaches may be in the field to assist fielders. If an out is made by the defensive team, that player must leave the base and return to the dugout. Players at the defensive pitcher position must have one foot on the pitching rubber before each swing. The defensive team should not leave the playing field until the last runner touches home plate.